I have a new PDF sewing pattern in my Etsy shop. The pattern is best suited for a confident beginner/intermediate sewer. 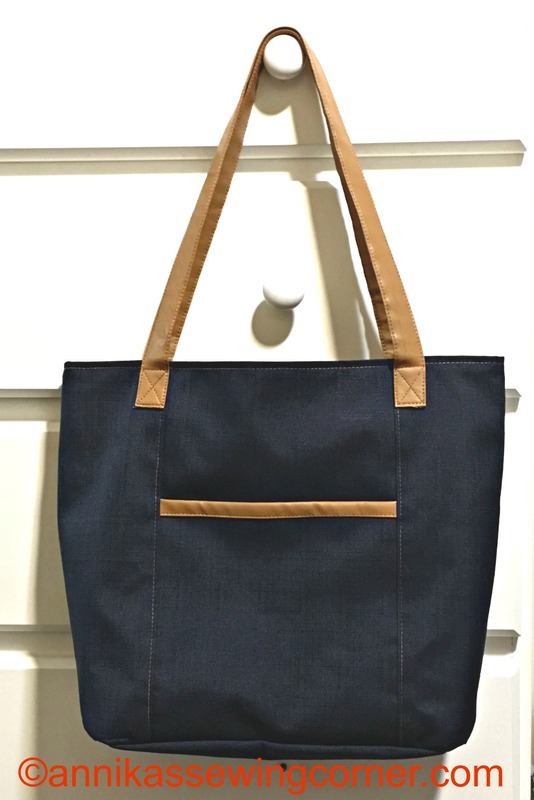 It is a tote bag with a outside pocket and two pockets in the lining. It also has a swivel hook on the inside for keeping key in on place. The first one I made is made of coated block out curtain fabric and faux leather/pleather. I didn’t need to use interfacing and batting for this one and the piece of fabric I used was a remnant. It turned out to be a very inexpensive project but still with a sophisticated casual look. 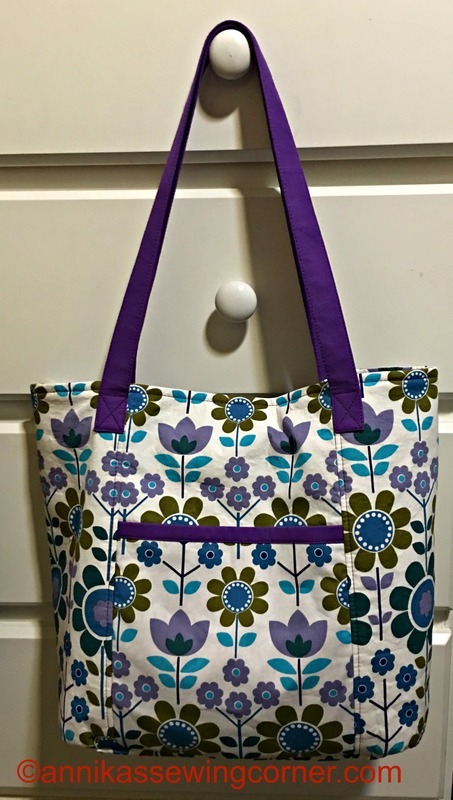 The second one I made is made of a quilting weight cotton fabric. 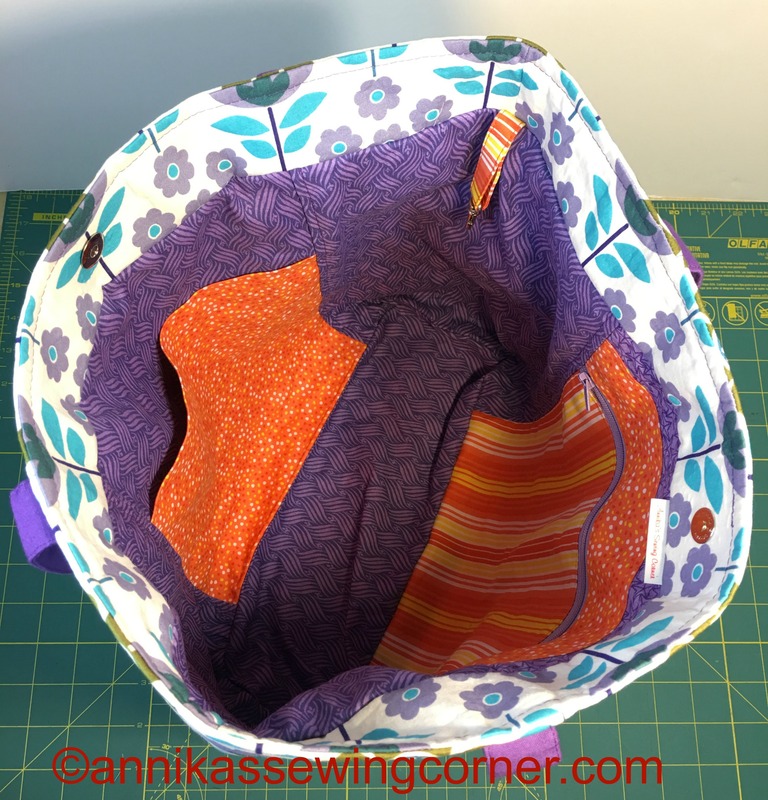 In this one I used interfacing and batting to give the bag some shape. This bag has a more colourful happy look. The lining has two pockets, one with a zipper and one without. It also has a key strap with a swivel hook to keep track of keys. The bag it self has a magnetic button closure. The bottom of the bag has an oval shape and is sewn in. The bag measures 13″ x 12 1/2″ and is 5″ deep. 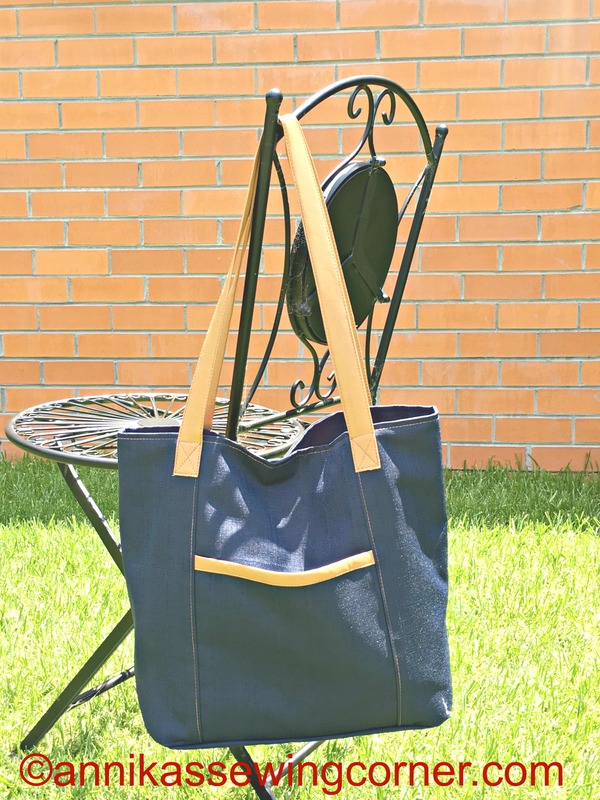 It is the perfect size for shopping or when you need a larger handbag.